If you want a smart home without the steep price tag, remote control electrical outlets and smart plugs are a great start. Both are efficient ways to gain the benefits of home automation without the cost of transforming every item in your home into a smart device. Rather than purchase new smart appliances, transform the ones you already own into smart devices simply by plugging them into smart outlets. From there, you can create a schedule for your devices, remotely turn them on and off, and more. 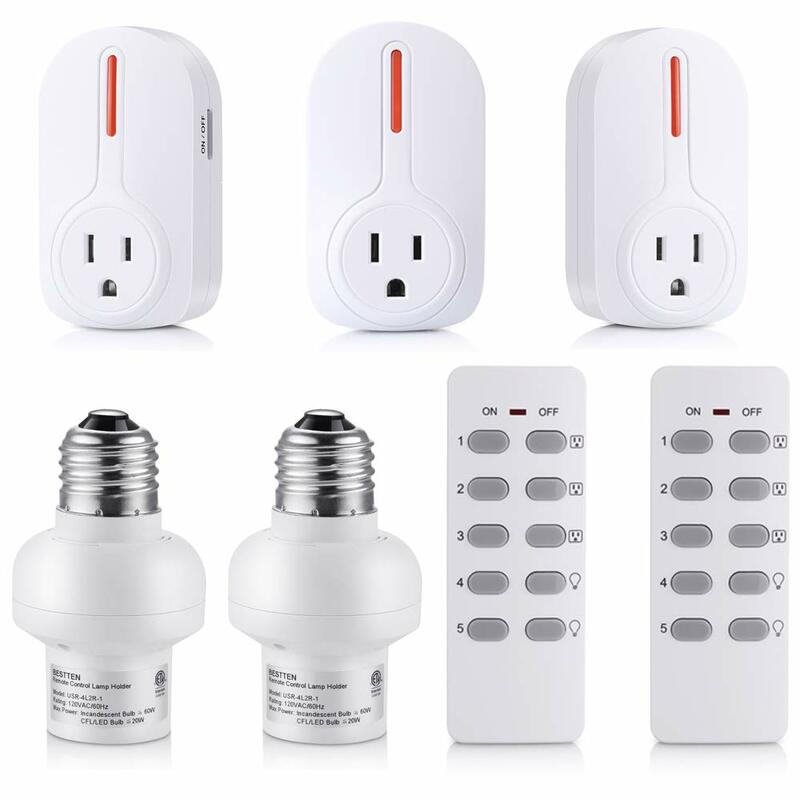 Bestten Remote Control Switched Outlet and Lamp Holder Set allows you to wirelessly control any lights or appliances from virtually anywhere in your home with the touch of a button. Industry leading range and strong remote signal, that even works through walls, doors, or even floors. 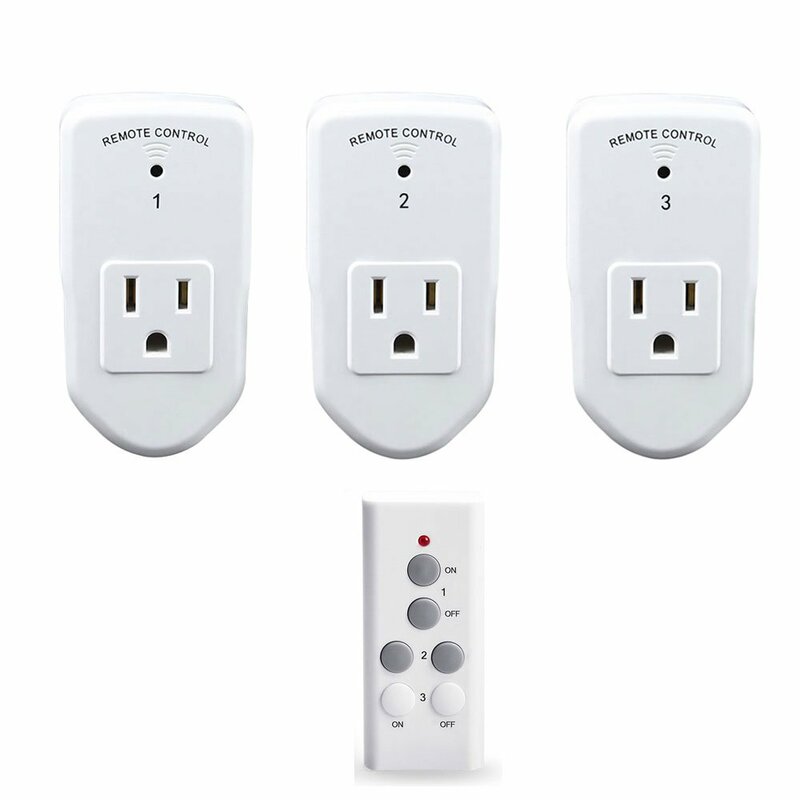 These Remote Outlets and Lamp Holders can be controlled from virtually anywhere in your home, giving you centralized automation or out of the way convenience. The Remote Control Outlet is designed for those tediously hard to reach places. With the simple touch of a button, you can turn just about anything in your home on or off without ever getting up. Remotely, it easily turns on or off your hard-to-reach home appliances. This is great for able-bodied individuals and absolutely fabulous for those with limited physical mobility. You can conveniently control appliances from almost anywhere at your home.That one remote can pair with up to 3 outlet receivers and control all 3 appliances simultaneously.